Rate this Article Looking for a fun battle royale game to play while on the go? This article has 10 free battle royale games for you! The battle royale genre, represented by the insanely popular game, PlayerUnknown’s Battlegrounds, had caused a “fever” that has swept across the globe. Plenty of battle royale games have popped up on both PC (mainly, since there is currently only 1 battle royale game that’s available on consoles) and mobile platforms like flowers blossoming after a heavy rain. However, it can be quite hard to separate the wheat from the chaff, especially on the platform with the lowest barrier to entry… the mobile platform. Well, this article is written specifically to help you! We’ve listed out the 10 best battle royale games we can find on both Android and iOS. Enjoy! P/S: Please take note that all of these games are available on Android but only some of them are available on iOS. Survivor Royale follows in the wake of the huge hype over the battle royale genre by being among the first few actually good, PUBG-like battle royale games to hit the mobile market. However, unlike the other games currently available, this game is able to accommodate up to 100 players in the same map, on top of offering everything that made battle royale games so addictively competitive to play. This includes the massive arsenal of weapons, armor, and items to find and hoard (to some extent), a vast and well-detailed world that's gradually shrinking to explore, and of course, the thrilling battle to become the last man standing. Aside from solo mode, there are 2-player or 4-player cooperative modes that you can enjoy as well. Each match lasts around 20 minutes or so. Survivor Royale may not be the most popular mobile battle royale game out there, but it does have a series of more tactical features that made it stand out from the masses. So, if you're a huge fan of battle royale games, you might want to try this one out. 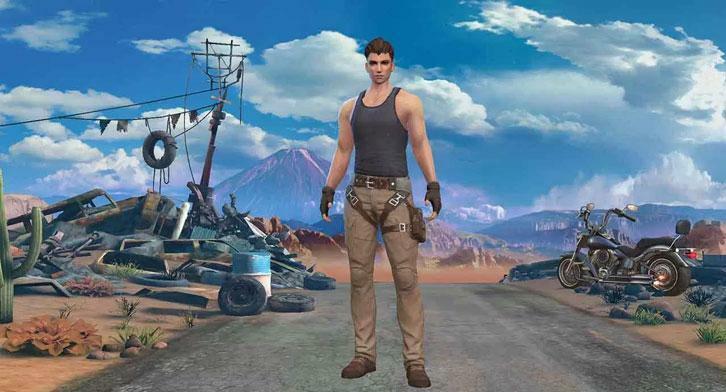 Rules of Survival is a battle royale game that you can play while you're on the go. 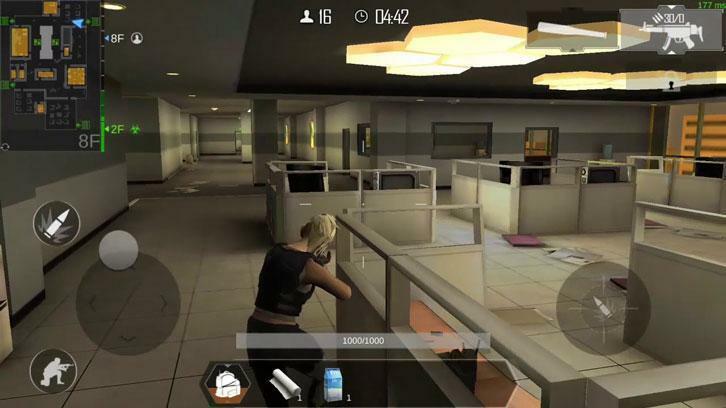 The game features a gameplay that resembles PUBG in many ways. You can drive vehicles, for example, in addition to the usual scavenging for better weapons, more ammo, medical supplies and other resources while competing with the other 120 players for the victory royale on a map that's periodically shrinking. It is inevitable that one day we'll have a battle royale game that somewhat rivals their PC counterparts, and this day has just arrived - in the form of Rules of Survival. This game is possibly the best mobile alternative to PUBG right now, and yet, despite its similarities, the game still manages to stand on its own on mobile since there aren't many battle royale games on the iOS platform. Free Fire - Battlegrounds is a 30-man battle royale game that is set on a remote, open-world island in the middle of nowhere. Featuring an intense and competitive, third-person survival gameplay that may remind you of PlayerUnknown's Battleground, this game will have you do whatever it takes to be the last man standing. This include scavenging buildings for weapons, ammo, and other supplies, or simply killing other players for their stuff. The map in this game is also vast and incredibly detailed, providing players with plenty of places to set up ambushes or to hide from danger. Due to its size, players will be able to travel across it in vehicles, if they can find a functional one. That aside, despite being a mobile game, Free Fire does have some responsive and easy-to-use controls, making it easier for you to dominate the battlefield. The huge arsenal of weapons and their attachments at your disposal helps a lot as well. 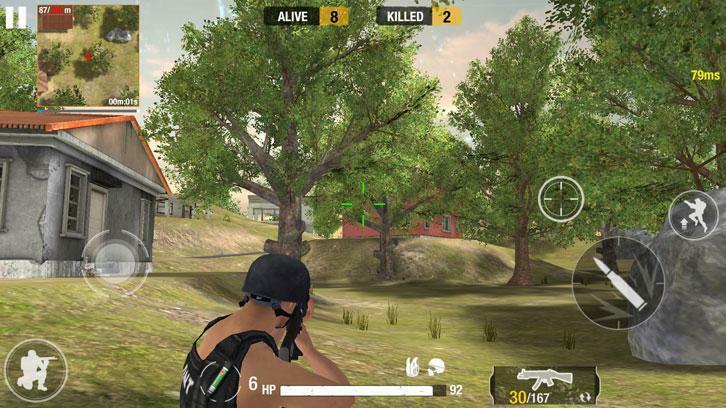 Bullet Strike: Battlegrounds is a really promising battle royale game that you can play on your mobile devices. 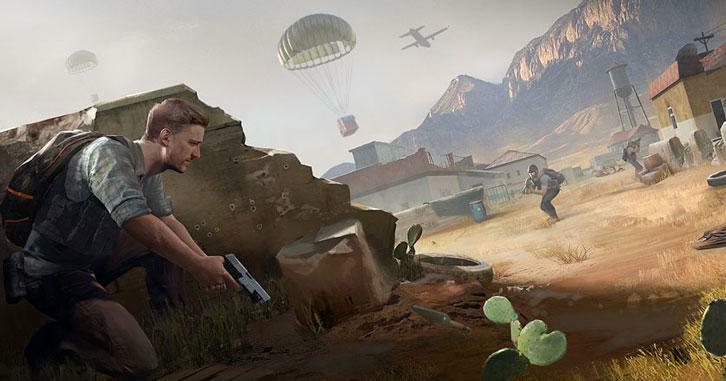 The game will feature everything you'd expect from a battle royale game including a massive yet gradually shrinking map to explore, tons of weapons and items to pick up, plenty of players to exchange bullets with (up to 20 players), as well as intense and strategic PvP where the last man standing will be crowned the victor royale. However, the game is striving to be unique by introducing character customization which many mobile battle royale games simply omit, along with a specially-crafted gameplay that is designed for competitive eSports. Despite still being in beta and having some bugs to fix, Bullet Strike: Battlegrounds seems like it's going to turn out to be a really fun battle royale game. Most players won't be able to play the game as of yet, but you can pre-register and maybe you'll be selected to become the game's next wave of beta-testers. Last Survive - Chicken Dinner is perhaps one of the more innovative battle royale games on the mobile platform right now. Although its graphical direction may remind you more of Fortnite Battle Royale and its gameplay is typical of a battle royale game, the game has some really interesting features that do help it stand out from among the masses. One of the unique features is its optional first-person view. You can easily switch between both views as needed, giving you that immersion that can only be obtained by playing in first-person. Resources like weapons and supplies aren't exactly hard to find in this game since these locations are usually marked on the map, the trick here is to grab the stuff you need without getting killed in the process. 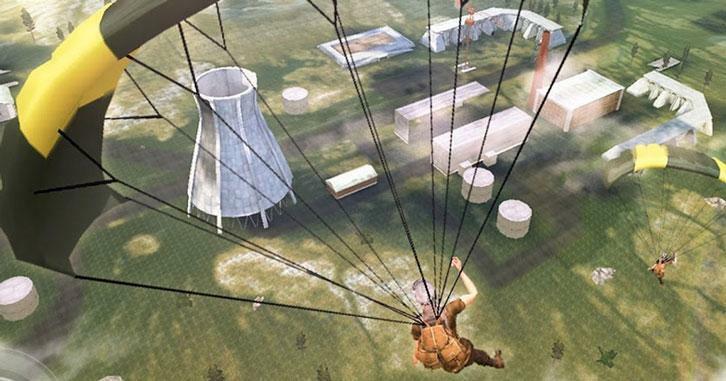 Of course, unlike all of the battle royale games that are set on remote islands or generally in the outdoors, Last Survive - Chicken Dinner has a map that pits players against each other in a huge maze-like office building instead. Cubicles do make excellent ambush spots and if you're lucky, you may be able to make it to the roof for the final shootout. Last Survive - Chicken Dinner is definitely the battle royale game to play if you're itching to try something new. It offers a fresh new battle royale experience while keeping the intensity of the gameplay intact. Last Battleground: Survival is a mobile battle royale game where players will compete to be the last man standing. 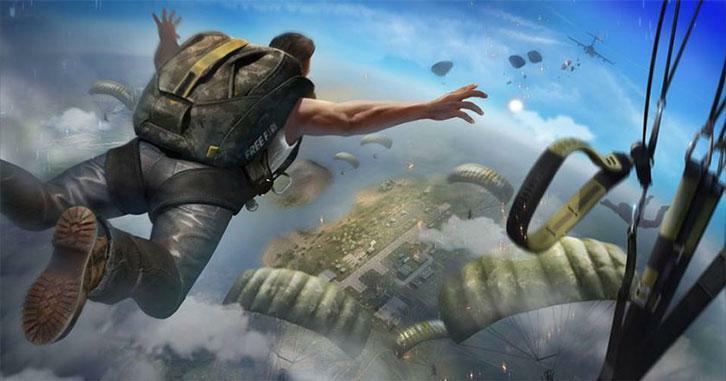 Each match will start with 32 players parachuting on to a deserted island where they will need to quickly find weapons and items like armor and medkits to ensure their subsequent survival during shootouts. The map will gradually shrink as well, forcing players into a smaller and smaller safe zone, guaranteeing more skirmishes that will eliminate the players until there is only one left. In many ways, Last Battleground: Survival may remind players of PlayerUnknown's Battlegrounds not only because of its somewhat similar title but also through its graphical style and game design. However, the catch here is that this is possibly the best battle royale game on mobile, despite still being in early access, so far. 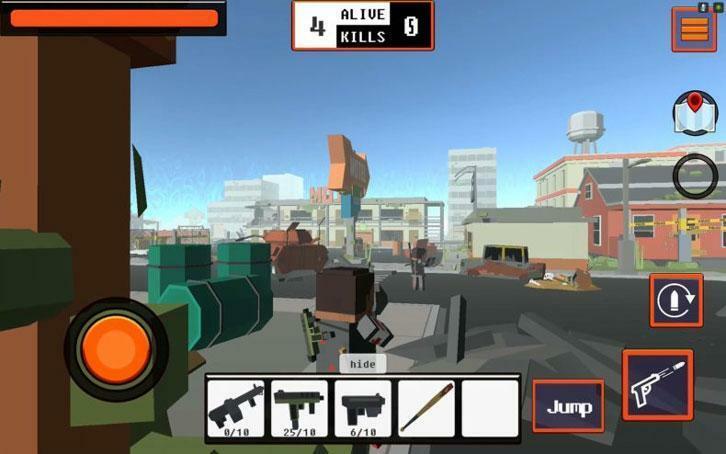 Grand Battle Royale is a fast-paced battle royale game in which you get to survive in beautifully-designed maps against the toughest opponents. The game features an exciting game map set on an island surrounded by mysterious blue zone. Your goal is to survive in this game map against players from all over the world as the blue zone shrinks, forcing players ever closer together to the center of the map. Whatever you can find in the game can be used to defend or attack the opponents in the game. You get to enjoy cool animated graphics with a nice colorful open world game map, full of buildings to take cover in and weapons to search for. Grand Battle Royale is an action-packed thriller featuring a unique gameplay that will keep you entertained for hours. Surviving against the enemies to be the last man standing, this game is a must-have app for your smartphone. Pixel's Unknown Battle Ground is the blocky version of a potentially fun, mobile-based MMO battle royale game. Despite being a work-in-progress, the game already has really impressive features such as a massive map where vehicles (and by extension, vehicular combat) become necessary, a vast arsenal of weapons to find and skins to collect, a live chatting system for team-based fights, and a fun pixel shooter gameplay that employs auto-shooting so all you just need to do is to aim. Not to mention, being a battle royale game, the map will gradually shrink after some time, with the outer dead zones closing in rapidly on the safe zones. This will force players to the center of the map where gunfights will then break out more frequently as players vie for the ultimate spot - to become the victor royale! Pixel's Unknown Battle Ground still has its fair share of flaws and bugs since it is, after all, still under development. However, with time and feedback, this game may just end up being one of the best block-like battle royale games on mobile. Black Survival is a battle royale/survival game that will bring to mind games like PUBG and movies like the Hunger Games. 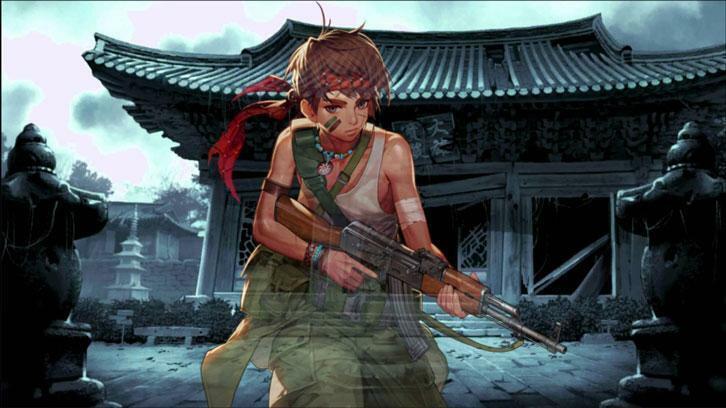 However, as opposed to having plenty of players in a single game, Black Survival only houses up to 10 players on a deserted island. The island itself is segmented into 22 areas, each of which will gradually become "restricted areas" that drastically drain your health if you insist on staying in that area. It's also great that the game has a crafting aspect, allowing you to create hundreds of different weapons, tools and food items. So, to sum up, Black Survival may have come out at just the right moment when the Battle Royale hype is at its peak thanks to popular games like PUBG and Fortnite Battle Royale, but it managed to innovate the genre and provide players with a fresh new perspective to the genre. You can even play this game for free while you're on the go! Battle Game Royale brings a stunningly realistic battle royale experience to your devices. Unlike the blockier versions, Battle Game Royale has one of the most detailed visuals and game maps that will keep you glued to the screen for hours. You get to play against players from all over the world in an open world map full of buildings to take cover in and weapons to look for. In a limited time, the players have to get survive and hopefully become the last man standing... and if you're lucky, get the highest number of kills, in order to score more coins. These coins are then used for unlocking a huge variety of exciting characters, each having a special attribute that can provide a valuable edge over the other opponents in the game. Battle Game Royale brings pure entertainment with action-packed gameplay and stunning graphics. With a quest for survival, the gameplay provides a nail-biting experience and truly put your battle royale skills to the test against players from all over the world. Attribution: This article is partly attributed to the Top 10 Battle Royale Mobile Games list on FindGamesLike. Find similar games to the ones you’ve already played and enjoyed on FindGamesLike – it has the most superior games-like algorithm on the internet and that very algorithm is constantly being tweaked by the site’s editor to ensure that every game shows the closest possible game matches.